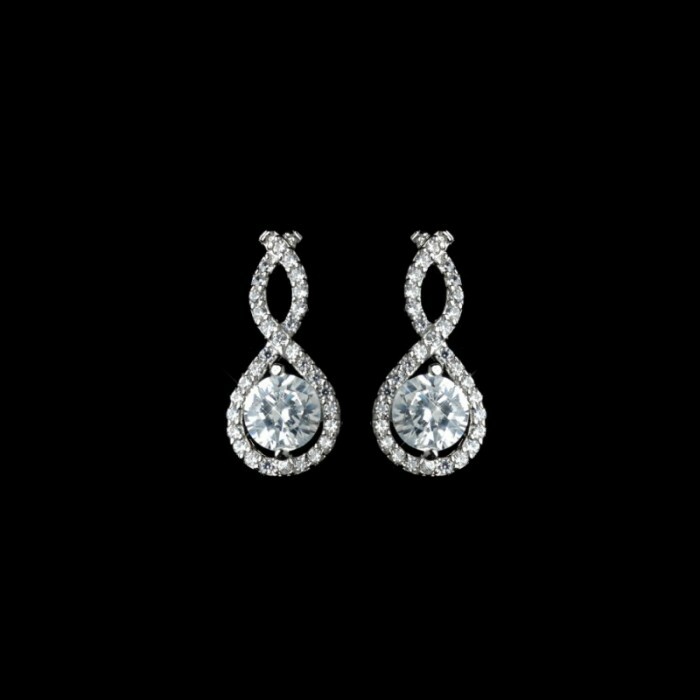 The Michaela wedding earring is a gorgeous contemporary-styles short drop earring that is simply beautiful for an understated bridal look! 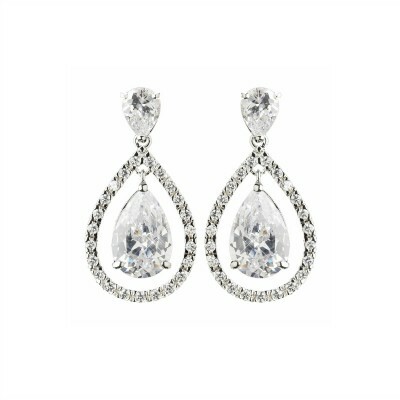 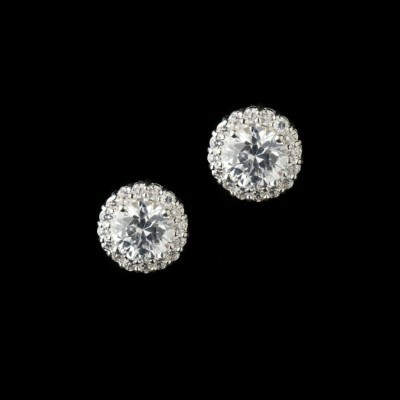 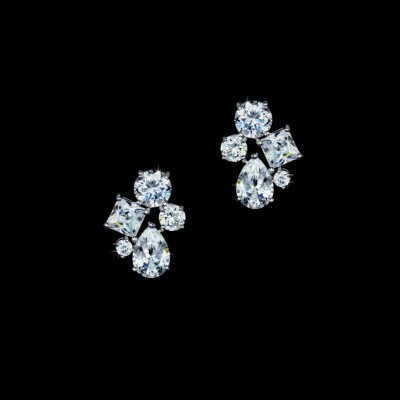 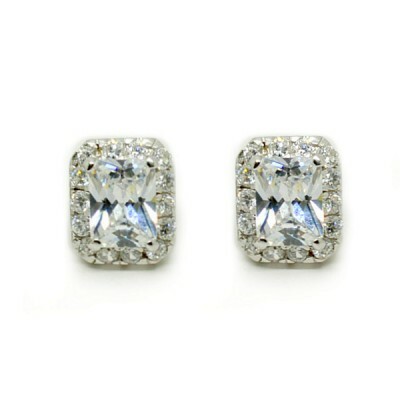 Composed of one dazzling AAA-Grade cubic zirconia feature stone, and dozens of tiny A-Grade cubic zirconia stones surrounding it, this earring is just like the "real thing" - sparkly, elegant and attractive. 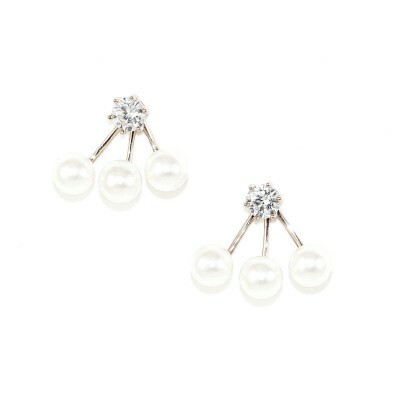 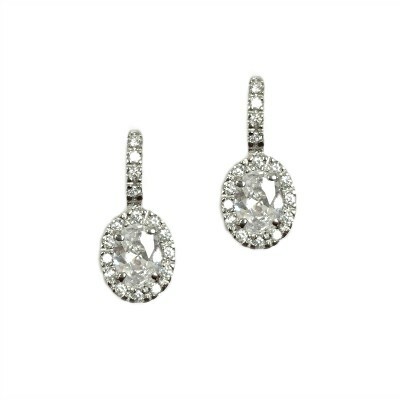 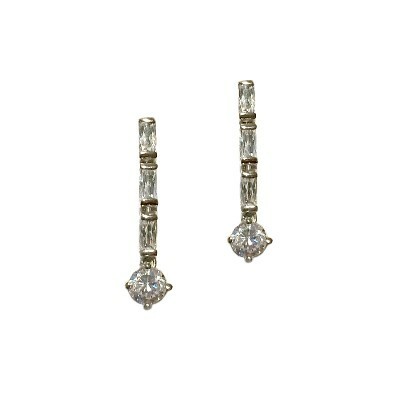 This Michaela wedding earring makes an understated option for brides, and can be easily worn with a necklace. 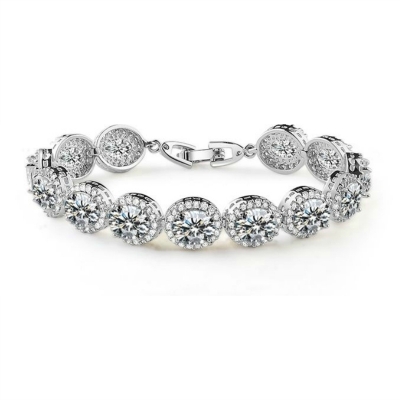 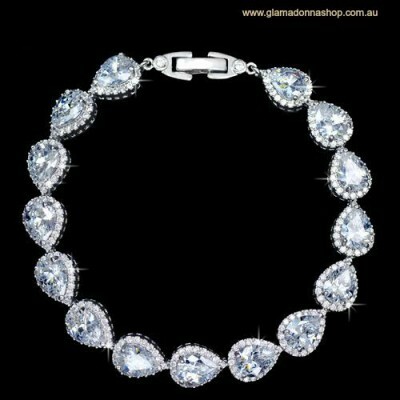 It makes a wonderful keep-sake gift for bridesmaids and mother of the bride. 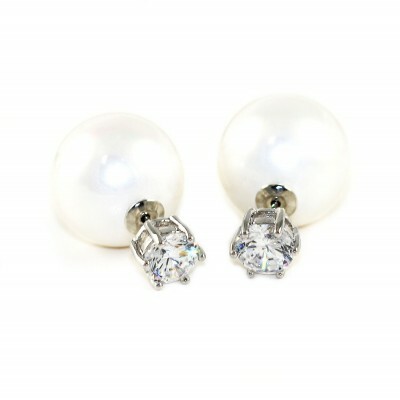 This bridal earring works well with many of the bridal bracelets and wedding hair combs in our collection. 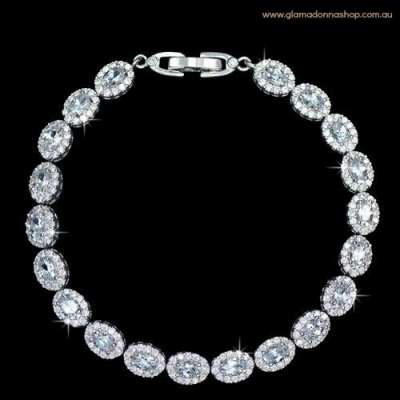 All rhodium plated for a shiny, luxurious finish that does not tarnish.